After WWII, the West had one huge ‘problem’ on its hands: all three most populous Muslim countries on Earth – Egypt, Iran and Indonesia – were clearly moving in one similar direction, joining a group of patriotic, peaceful and tolerant nations. They were deeply concerned about the welfare of their citizens, and by no means were they willing to allow foreign colonialist powers to plunder their resources, or enslave their people. Several Communist countries in Eastern Europe, but also newly liberated China, were actively helping with a rapid de-colonizing process in Africa, Asia, the Middle East and other parts of the world. Those developments were exactly what the West in general and both the U.K. and the U.S. in particular, were not ready or willing to accept. ‘Ancient’ belief in some sort of ‘inherited right’ to colonize, to loot and to control entire the non-white world, was deeply engraved in the psyche of the rulers in both Europe and North America. Peaceful, tolerant and socially oriented Islam was seen as a tremendous threat, at least in London, Washington, and Paris. It had to be stopped, even destroyed — resolutely and by all available means. Only the pre-approved Wahhabism, which was collaborative with the West and from the onset at least partially ‘co-produced’ by the British Empire, was singled-out and allowed to ‘bloom and succeed’. According to the logic of the Empire, Iran had to be derailed and ruined, in order to prevent a so-called ‘domino effect’. …Major theatre of de-democratization was Iran, whose elected government was overthrown, in 1953, by a US-UK alliance. Mohammad Mosaddeq was Iran’s elected prime minister. He enjoyed the approval of Iran’s parliament for his nationalization program. The US and UK organized a CIA-led coup to oust Mosaddeq – because Iran refused make oil concessions to the West. During World War II, the UK had taken control of Iran to prevent oil from being passed to its ally, the Soviet Union. Through the Anglo-Iranian Oil Company, the UK continued to control Iran’s oil after the war. The French-educated Mosaddeq was highly critical of Iran’s draining of resources to the West. 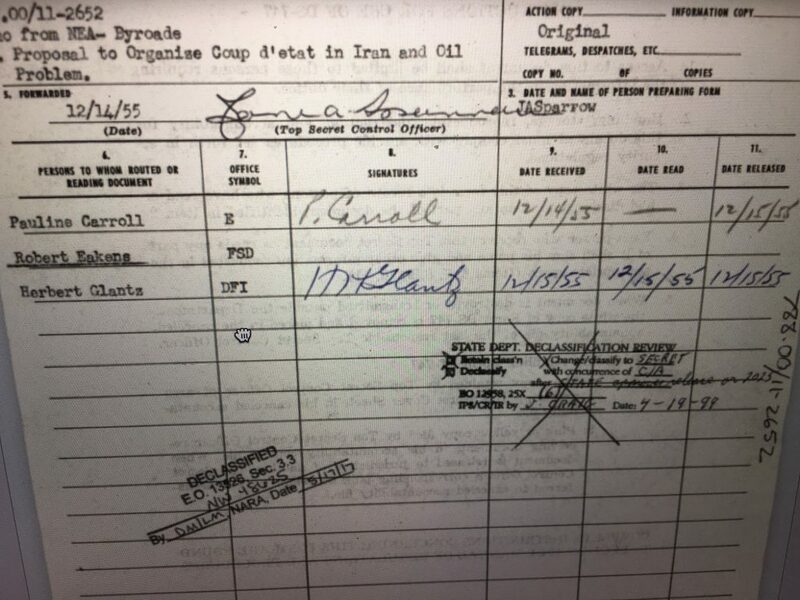 Soon after getting elected as prime minister in March 1951, Mosaddeq and his National Front alliance had moved to nationalize Iranian oil and throw out foreign control of oil fields. One such was the Abadan refinery, then the largest in the world. The UK retaliated by imposing economic sanctions, backed by its heavy naval presence in the region. Mosaddeq, however, was undeterred; his popularity only increased among the Iranian people. Faced with Mosaddeq’s resistance, the UK-US alliance staged a coup to over throw Mosaddeq’s government. Egypt was next. France, the U.K. and Israel attacked it in 1956 during the so-called “Suez Canal Crises”. Although the invasion eventually ended and the Canal stayed in the hands of Egypt, the country never fully recovered. There were further Israeli attacks and invasions, and after President Gamal Abdel Nasser passed away in 1970, gross meddling in Egypt’s internal affairs by the Western countries. Gradually, Egypt was turned into an impoverished client state. Sukarno’s main ‘sins’, at least in the eyes of the Western Empire, consisted of strong left wing, patriotic stands, which included nationalization of almost all natural resources. Sukarno was also one of the founding fathers of the non-aligned movement. By the end of the 1960’s, socialism in the Muslim countries had been almost thoroughly demolished. A dark era of collaboration, particularly in the [Persian] Gulf region, arrived. 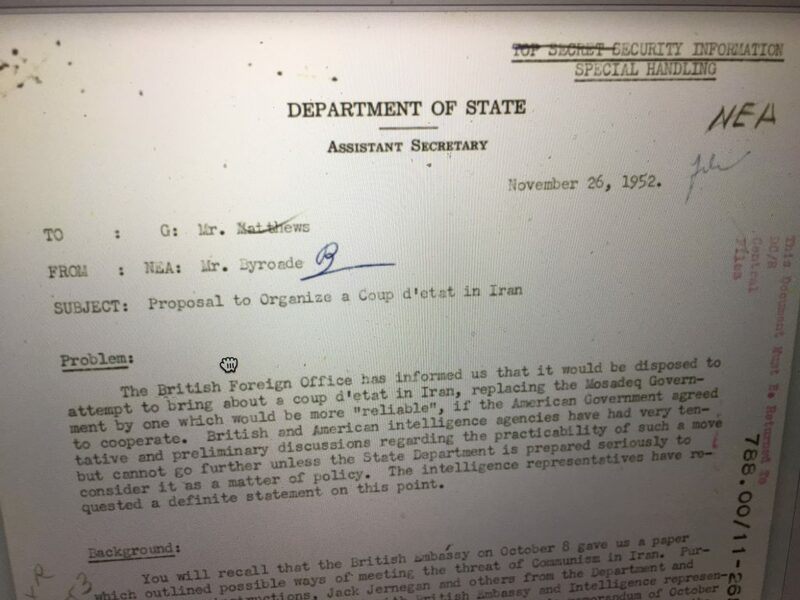 The CIA has publicly admitted for the first time that it was behind the notorious 1953 coup against Iran’s democratically elected Prime Minister Mohammad Mosaddeq, in documents that also show how the British government tried to block the release of information about its own involvement in his overthrow. The military coup that overthrew Mosaddeq and his National Front cabinet was carried out under CIA direction as an act of US foreign policy, conceived and approved at the highest levels of government,” reads a previously excised section of an internal CIA history titled The Battle for Iran. Although the U.S. government was originally hesitant about supporting the U.K. in planning to overthrow Prime Minister Mohammad Mosaddeq, it soon changed its mind and allowed the CIA to plot and execute the coup. In brief: the West performed an experiment on Iran and on its people: how would the country react to a bloodbath, to overthrowing its popular leader, to a theft of its resources? This article was posted on Saturday, August 19th, 2017 at 1:11pm and is filed under "The West", Bolivia (Warisata), Brazil, Chile, China, CIA, Democratic Rep. Congo, Dominican Republic, Egypt, Guatemala, Imperialism, Indonesia, Iran, Israel/Palestine, Philippines, Russia, Syria, Terrorism (state and retail), United Kingdom, United States, US Hypocrisy, Venezuela, Viet Nam.